All Christian men know that they should serve their church, but it is common to look around in church and see women working, but men sitting around. Why is this? I believe the biggest reason is because men simply do not know what they could do. Many men do not feel comfortable teaching children, watching babies in the nursery, or helping decorate the church building - but there is SO MUCH MORE that needs to be done in churches. Men: Your church needs you. 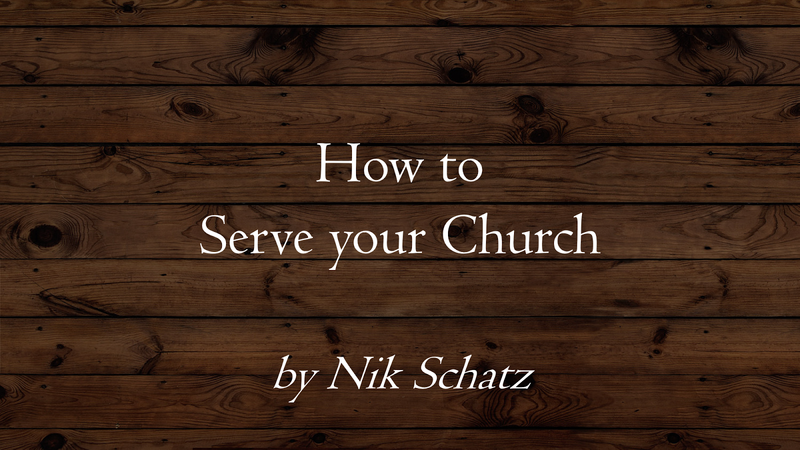 Your wife and kids need to see you serving in church. Other men need to see you stand up and contribute. So how do you find a way to get involved? Look at your skills and experience. Do you have experience in leadership? Teaching? Building? Automobile work? Carpentry? Architecture? Cooking? Financial planning? This is just a small list of things men do at our church regularly. Look for a need. What programs or events does your church run in which the above skills are needed? Our church has committees which need leaders, classes that need teachers, projects that need builders, buses that need maintenance, and on I could go. Don't wait for someone to approach you - go to the people in charge, tell them your skill sets, and find out if there is a need. Initiate. This is what separates boys from men - men initiate. Go talk to your pastor and ask him where you can pitch in. If you have a heart to start a new project or ministry, tell him about it. In our church, a man recently had a burden to talk to the graduating seniors about what it means to be a man. So he approved his ideas with the church leadership and organized a young men's get-together. Another man in our church noticed our church bus needed new tires before teen camp, and he happened to have a CDL license, so he took the bus to the tire shop and took care of it. Another man saw a structure one day called a Gaga Pit, a children's and youth play area, and thought "I could build one of those for our church kids to play on". Sure enough, he bought the wood, got some guys together, and built it - the kids use that Gaga Pit all the time. Get serving! 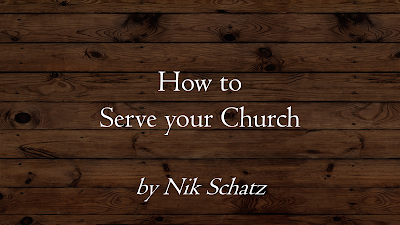 Your church and your family needs you to do so.